Russia has thrown the collapsing socialist state of Venezuela a lifeline by offering to restructure the $3 billion debt owed to them. The agreement comes as Venezuela is scrambling to pay off a series of debt payments credited to its state-run oil company PDSVA, with investors fearing the country could soon default. However, the $3 billion debt to Russia, used to finance the supply of Russian military machinery, is just a tiny fraction of its overall debt burden, estimated at $120 million. 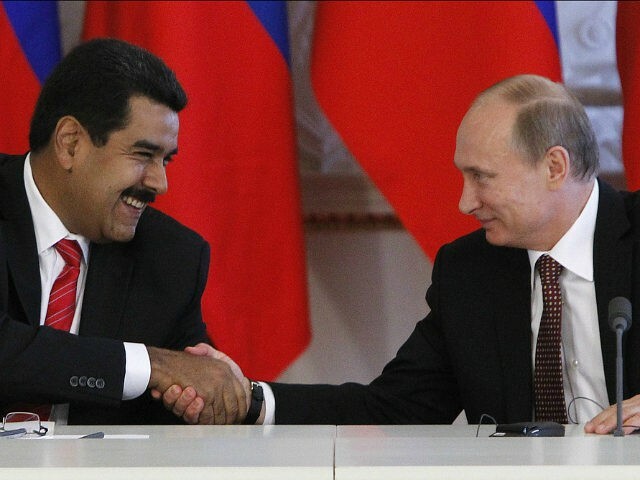 Venezuelan leader Nicolás Maduro met with Vladimir Putin last month to discuss the prospect of debt restructuring, with Maduro thanking him for “both diplomatic and political support during the difficult moments we are facing.” In his desperate search for cash, Maduro also began negotiating a $500 million deal with Putin, whereby Russia will take control of a number of Venezuela’s most profitable oil fields. The growing relationship between the two countries comes as the Venezuelan regime continues a path towards dictatorship through the creation of an illegal lawmaking super body and fraudulent regional elections, leading to further international isolation, especially from the United States. The deal also raises fears of Russia’s interest in exerting influence in Latin America, with Venezuela being the region’s poorest and most politically unstable country. In August, the Trump administration signed off on sanctions against the regime, prohibiting Americans from buying any further Venezuelan government debt or that of the PDSVA, as well as personal sanctions against Maduro and other government officials. Venezuela is currently experiencing the worst humanitarian crisis in its history, with skyrocketing levels of inflation pushing the monthly minimum wage down to under $2 a month. As a result, there is now widespread poverty amid a chronic lack of basic resources from everything such as food and power to medicine and sanitary products.